I Love Grass is originally written in Italian by Giovanna Mantegazza and illustrated by Carlo Alberto Michelini. This is the Chinese translated version. 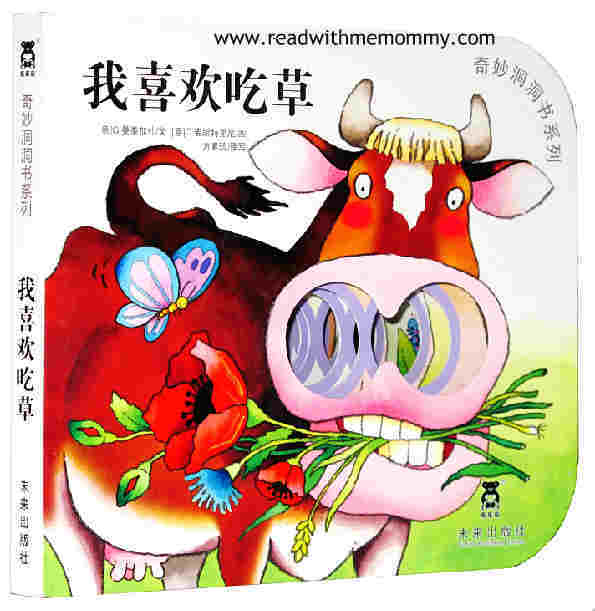 It is a board book, with simplified Chinese and accompanying hanyu pinyin. This cute board book introduces your little one to world of herbivores, with cute illustration of their dietary preferences. 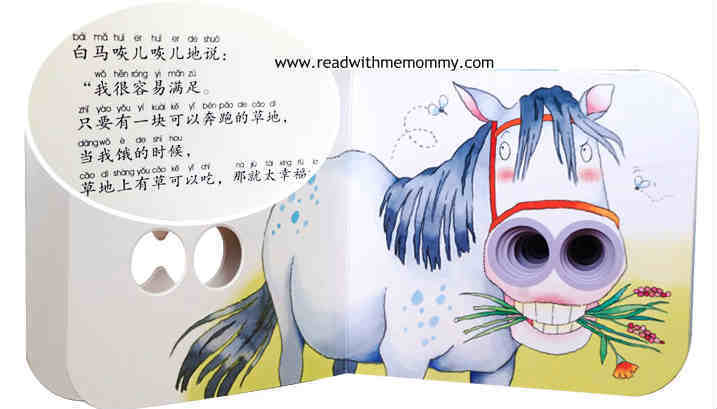 In this book, your kid will learn about hippos, horses, tortoises, koala bears, and many more. No storyline. This is an ideal first book for your young kid with beautiful illustration. This is a book that is fun and interactive.